Today, we’re taking a look at the best ski masks on the market- and for a good reason! It is wild up in them thar hills. If you are looking to prevail through anything mother nature hurls at you preparation is key. Windburn, sunburn, frostbite, and yes even all kinds of precipitation pelting your face like thousands of tiny daggers are ofttimes the reality facing downhill skiers and boarders on the mountain. Even with a solid pair of goggles much of your face will be left exposed to the elements. Ski masks, balaclavas, bandannas, and a number of other cleverly designed gear options go a long way in reducing many grievances and protecting that pretty mug of yours. You’re in the right place, we’ve taken the liberty of gathering all of the best ski masks treasure we could find so you’ll be able to easily identify the best ski mask for you. 1 The Treasure Map: What’s In This Article? The Treasure Map: What’s In This Article? On this run, you can take a gander at the captain’s orders and a general discussion about ski masks. The next stop? An overview of the types of ski and snowboard mask designs that have grown popular among us mountain goer types. — we cover all the bases in our types of ski masks section. Up first: the Black Diamond run through all of our pirates picks for best ski masks. Challenged accepted? Alright let’s go. In this comparison table, we have all of our ski masks from our Best of List below in one easy to browse place. We’ve got them in order of price range ascending (low to high) just to make it easy for you to see what we like without bias. You found the treasure! Here are the best ski masks and best balaclavas available for purchase. There’s a little something for everyone: 3 hole ski masks, 2 hole ski masks, and one hole ski masks. We regularly update our pages so you’re always viewing the freshest information and product selections. Without further ado, here are the top ski masks for sale. 1. Squid Beanie and Face Mask by Dealzip Inc. This is the first of one of the more novelty ski masks on our lists. Why not have a little fun with your gear? Channel your inner Davy Jones with this surprisingly affordable octopus ski mask. It’s made from knitted wool, and will fit a variety of sized heads. Right now, we can only find the black option on Amazon- but there are other brands that make a similar one in some fun colors, too. Just make sure you check material and consumer reviews for quality control. If you’re looking for something for cooler days but not super blustery weather, Zanheadgear makes some spooky skull options out of lightweight neoprene sure to please any powder pirate. It’s quick-dry, stretchy, absorbent, and will protect your face from sun and windburn. The price is more than fair, and you can get a two-pack for the price of one of the competitors. Zerdocean put together a clean looking Balaclava that holds up to the most testing of weather conditions. The material of this ski mask is really warm- a thermal fleece that will protect from cold, wind, and sunburn. It does a good job of keeping you dry too, with its moisture wicking superpowers. Zerdocean adds in a breathable section in front of the nose and mouth that allows healthy airflow. The best part? There’s pretty much a color for every style, which is really just a bonus! 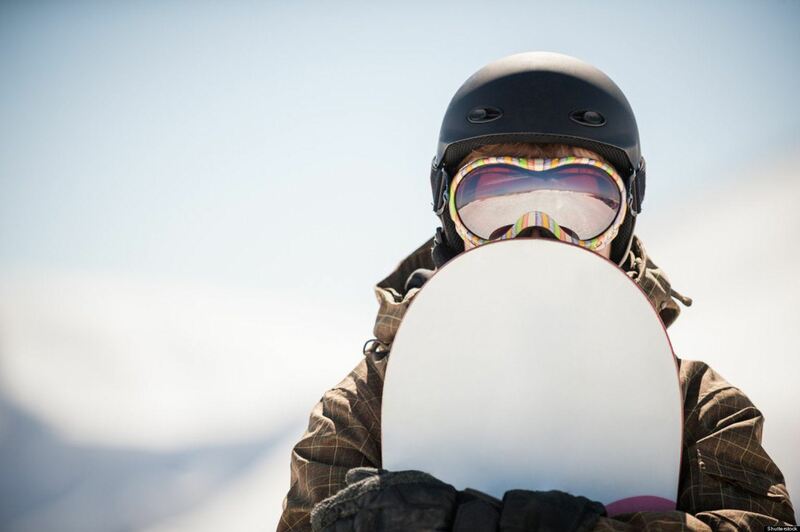 Blaze down the slopes like Shaun White with ultimate protection from the elements. A perennial bestseller on Amazon, the Tough Outfitters Windproof Balaclava simply slays. Its design keeps you warm and dry — the windproof front, mesh breathing panel and stretchy fleece-lined material retain precious heat and block out howling winds. Don’t be fooled by their incredible prices. Tough Outfitters makes it easy to shred on the slopes without shredding your dolla dolla bills. 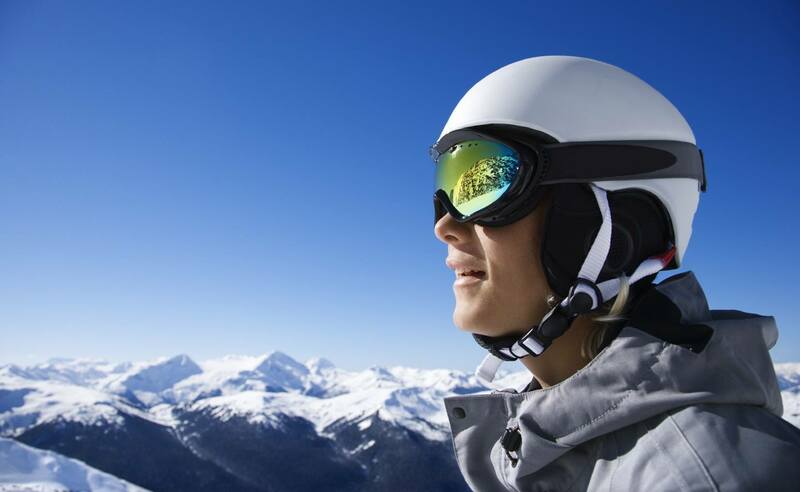 By cutting out the middlemen (we see you, ski resorts), they pass the savings on to you. Lions, and Tigers, and Bears- OH MY! Find all of these graphic style ski masks and more from ECYC. The fleece masks will do more than just make you look badass on the slopes. They keep your face warm, but give you plenty of visibility in even the coldest of winds. They only come in one size, and can fit most kids and adults. The force will be with you if you wear one of the Star Wars Air Hole facemasks. You can find them in a variety of colors (Vader, Storm Trooper, Chewey) around the web. They are breathable, but not lined with fleece so we don’t suggest them for extreme weather use. The half face mask and full face masks from Seirus Innovation are probably the most popular ski masks of all time. The velcro straps are easy to secure and take off even with snow gloves on. The Polartec Neofleece material performs well, keeps you warm and dry for many a run down the hill. Furthermore Seirus features fair prices. It is no wonder they have sold so many ski masks. Ergodyne may not be the most well known sportswear manufacturer, but they have put together a solid balaclava in the N-Ferno. Soft fleece, 3 panel construction, and a velcro hinge round out this balaclava ski mask nicely. This ski mask for kids is the ideal easy to use mask. Following in the success of the Windstopper Gorilla Balaclava, Outdoor Research has put together another excellent ski mask using many of the same durable motion fleece and nylon materials. It’s available in two colors and sizes, making it easier to find an option that works for you. You must protect that house and you can with the Under Armour ColdGear Hood. Tactically built, it is a form fitting balaclava offering full face protection. The material is super stretchy delivering top notch mobility. This women’s MFI Fleece Helmet Hood Clava is a great way to keep your whole head warm. The hood portion is made from fleece, and the mask is lined with spandex to stretch over the nose for added protection. You can find it in a variety of colors for women, men, and youth skiiers and snowboarders. The Nike Pro Combat Ski Mask and hood have the patent Nike polish. If you’re looking for a high quality ski mask this is the one for you. You pay a higher price, but you won’t have to be buying a replacement in a long time. The high tech material wicks away moisture to encourage heat retention. If you’ve spent any time on the slopes in the PNW (where some of our pirate team live and play), it’s likely you’d do a double-take if you saw someone wearing one of these facemasks. Beards are common here, and though a real one might not be as thick as this one, they can serve a similar purpose. These awesome ski masks from Beardski come in a variety of colors, lengths, and materials. They are all made adjustable to fit all shapes and sizes of heads. If you’re looking for the best ski mask, look no further. This bad boy will guard your face from the worst mountain storms and then some. The soft shell fabric, mesh breathing port, and fleece liner is the perfect combination for a ski or snowboard face mask. The contoured design fits all but the weirdest shaped heads very comfortably. This is a great snowboarding face mask. Anon is a well known player in the snowboard gear business with many successful products and they did it again with this goggle and mask combo. This mask interfaces with their goggles via magnets for a perfect fit, easy pull down and up, and helps prevent your goggles from fogging up. Easily one of the best snowboard masks out there. Winter face wear is often an overlooked category of gear when it comes to putting together a functional kit for different cold weather conditions. Just like you take care of your hands and feet at the mountain, you want to protect your head and face. To be sure, not every day calls for a full face ski mask with a burly cap with ear flaps over the top. On a sunny day, you’ll be roasting in that sucker and will be sure to receive many ‘Really bro?’ looks from your fellow skiers and snowboarders. Even on most coldish days, you can probably get away with a nice pair of goggles and be totally comfortable. So you may ask at this point: so you’re telling me I need to drop money on a mask that I may use less than half of the time at the mountain? But hear us out. On those wild days, when the wind is roaring and the snow is coming down in a flurry nothing could make more sense than a ski mask. You’ll stay warm and all that precipitation coming down will bounce right off that layer of protection. Added benefit: you’ll look like a badass. A lot of people will retreat to the lodge on those days, but for the pirates of the mountain its the perfect time to pillage fresh powder. 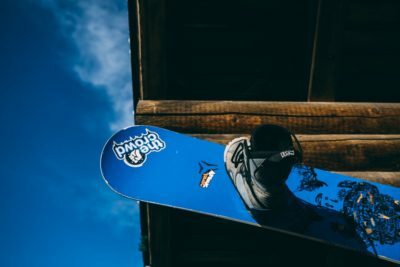 Smaller wait times for the lifts, less inexperienced riders getting in your way, and the respect of your fellow mates for sticking it out are just a few of the benefits of choosing to ride in such conditions. The nice thing about cold weather face masks are that they aren’t going to cost you an arm and a leg like many parts of ski and snowboard gear. Neoprene is a type of synthetic rubber material invented in the 1930s. It is commonly used to construct more form fitting ski face masks and acts nearly as a ‘second skin’. If you’ve had a knee brace or ankle brace, you have an idea of the feel of the material as these products almost always use neoprene as their primary material. Wetsuits for surfers and the like are also constructed using neoprene. Neoprene ski masks make a lot of sense as neoprene has many useful properties such as buoyancy, stretch-ability, abrasion-resistant, and 100% waterproof. On top of that, it is comfortable and doesn’t become bothersome when put through the demanding pace of downhill skiing and boarding. At this stop, we break down the types of ski masks and their differences. 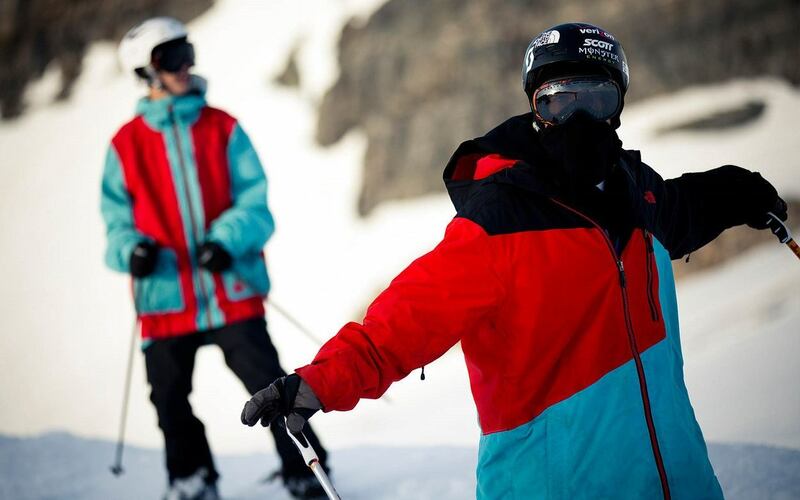 The most common skiing face mask design is a half mask usually incorporating neoprene. These leave the forehead and eye areas exposed which are then meant to be covered up with a hat and goggles. Because of the neoprene, these masks hug the lower face, look sleek, and do a top notch job of protecting the lower face against wind chill. Whereas these used to only come in standard black, there are a range of colors and style designs now available. Some ski face masks incorporate a variety of materials with the neoprene like spandex and fleece. Also known as gaiters, neck warmers are pretty common even on the less wilder days. A great alternative to a bulky full sized scarf. Sometimes neck warmers are designed particularly for skiing, other times people will throw on a scarf that is meant for any type of cold weather conditions. A lot of snow bunnies will rock the neck warmers, sometimes in fluorescent colors that are quite fetching indeed. ‘Bala-what?’ Yes, Balaclava. There is a place in Crimea called Balaklava where members of the British military serve. There is some extremely cold weather in those parts so many of the British troops wear knitted head coverings that became known as balaclavas (full face ski masks). The name stuck and though traditionally these were knitted from wool, nowadays they incorporate thermal fabrics like micro fiber that wick away moisture on the double. Balaclava masks are unparalleled in their ability to keep the head as well as the neck warm on super cold days. Designer jeans, designer purses, designer masks, where does the madness end? Certainly not at snow gear. While not technically a category in its own right, designer ski masks are a sub category that generally point to the fact that the mask has a cool design and costs a lot. Sometimes these put functionality factor on the back-burner, but hey style points count too. Thin and lightweight, bandannas do a decent job of protecting the face from light snow. An added bonus is you can bring back the days of the Wild West with a paisley style bandanna. Or go with a darker theme like the deranged smile of the joker pasted across the mouth area. What happens when a bandanna and a neoprene half mask get together for a late night of fun? Well, a stork drops off a neodanna in roughly 9 months time of course. Not the most practical of designs, the beardski is a ski mask with a beard attachment. Great for surprising your friends when you come bombing out of the trees and nail a backflip with a Gandalf-like beard flowing majestically behind you. Worth every penny. Here are the most important components of ski mask selection. Most ski masks go by a one size fits all policy, but if you have a large noggin or a very small one you may want to be more careful when shopping. In addition, some manufacturers will offer kids’ size models for the young ones. If you can, try on the mask and see if it is comfortable. It shouldn’t feel like your face and nose is stuck in a fabric vise. Perhaps the best thing to do is experiment with a few designs and see which works best with your kit. Since they are relatively inexpensive, it makes more sense to run through a trial and error to find one you like best. Fleece and other thermal fabrics are a common staple in most ski masks. You want something that wicks away moisture, provides warmth without bulk, and ideally is machine washable. The most hardy of ski and snowboard masks have fleece liners and an outer shell like nylon that keeps warmth in and water/wind out. Some people go for wool for warmth but be careful because it isn’t as comfortable over longer stretches and does not wash as well. Some ski masks will offer neck and top of head coverage whereas other half face ski masks only cover the lower face under the goggles. There are numerous masks that fall between these two extremes with different numbers of openings and slits, widths of openings, and the closure system incorporated in the mask. A common issue with ski masks is breathing into them and then the fog reaches into the goggles and fogs them up. Anon came up with the clever idea of integrating goggles and facemasks with a magnetic securing system MIG. This seamlessly connects the upper part of the mask to the lower part of the goggle frame.